We need more heroes in the classroom! Now more than ever. Unfortunately there are still a lot of preconceptions when it comes to teaching. With this campaign we make a strong statement by showing that teaching is not only ‘heart’ work (one of the campaign taglines) but also gives people a chance to really make a difference and inspire a whole new generation. 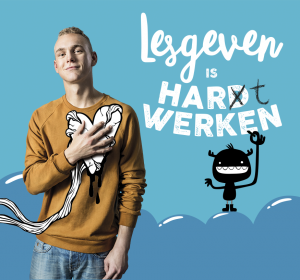 ‘Heroes in the classroom’ (Helden voor de klas) is an online platform inviting next generation teachers to step forward and test their teaching skills on the campaign website.We were inspired by the personal stories of talented young people who didn’t fit the stereotype of a ‘teacher’. They are the true heroes of our campaign. Heroes in the classroom is a colourful platform for their stories that will inspire others to step into the classroom. Heroes in the classroom (Helden voor de klas). A fun, fresh and smart campaign that is the solid foundation for a continuous flow of inspiring content. Illustration: Diana van der Voort. Photography/videography: Chris & Mischa Bonis. Animation: Michiel de Graaff. Makeup, hair and styling: Elseline Hokke and DEARDAN. Special thanks to Irene, Suzanne, Ellen and Michael.